Showcase photographs, artworks and paintings with quality canvases. Its wide blank space is the perfect backdrop for designs that are heavy with visuals and graphic. Display them throughout your homes and offices and give your areas some style and panache. They're perfect as home decors or souvenir and gifts. They're a classic gift idea for art-lover friends and clients. But best of all, canvases are great advertising tools. Like posters, canvas easily attracts attention because they're visual-friendly. Graphics and images pop out and generate more interest from the market. Wholesale canvas printing is a practical and convenient way of reproducing your materials. This is most ideal for business purposes. If you're running a marketing campaign, printing in short-orders is more time-and labor consuming. Bulk printing allows you to get prints for more affordable prices. plus you can save more resources with regards to pick-ups and deliveries. 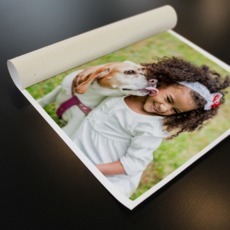 Our wholesale canvas printing is available for rolled and stretched canvas printing. We use premium artist canvas material. Don't worry about tears and folds, since we package them with care in protective tubes and gallery wraps. You can order for as much as 100 rolled canvas and 50 stretched canvas per transaction. Standard turnaround time is 3 business days. For more information about our canvas printing you can reach us at 1.888.888.4211. Our lines are open 24/7 from Mondays to Fridays and from 8 am to 5 pm PT on weekends.